Working with Dreams Come True for the past eight years has been a special pleasure. The Community Nutcracker looks forward to helping them support the dreams of children in our community. Dreams Come True is the only locally-based nonprofit organization dedicated to fulfilling the dreams of children with life-threatening illnesses. Each year, one lucky recipient joins the cast of The Community Nutcracker on stage during the opening act to assist Herr Stahlbaum narrate the story of the ballet. 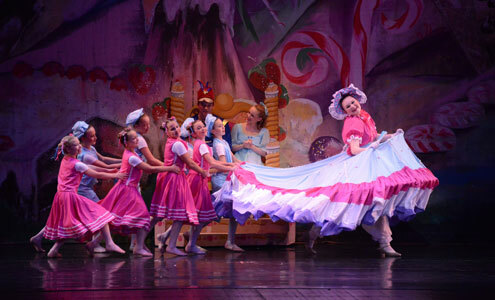 Since 1992, the Community Nutcracker has supported many other local charities, raising $500,000. The cast, directors and volunteers of the Community Nutcracker are proud to host the following organizations for an enchanted performances of The Nutcracker Ballet on Community Service Night.